One of the numerous benefits to running a wedding blog is having the opportunity to share with you some of the best vendors in the industry. I’ve had the pleasure to get to know some of these vendors, not always in person, sometimes it’s via phone or email. But either way, it thrills me to be able to support such wonderfully talented people. Case in point, today I have a wedding for you shot by a set of photographers I would easily classify in just such a group. Katie and Rick’s stylishly custom Carondelet House wedding photographed by Nate and Amanda from Amanda Driver Photographer was clearly a labor of love for all involved. And as you will read from the bride’s comments below, with event design and planning by La Boheme Events and beautiful floral ctreations by Stella Bloom Designs, Katie and Rick’s elegant and stylish day was every bit the custom affair they wanted. From the Bride… Rick proposed to me on a gorgeous day on the top of a mountain at Kirkwood Ski Resort in Lake Tahoe, California, and it didn’t take long for us to start excitedly talking about wedding details. Right away we decided on a Spring wedding, within a two hour drive from home, that would have to be a unique “Katie & Rick” party. We decided to invite only our closest family and friends, and focus on making the evening a true celebration of love, companionship, and well…us. Very soon thereafter, I emailed the most talented and knowledgeable person I could think of, the woman who planned my sister’s wedding, Hallie Slade of La Boheme Events. She gave us a fantastic (and long) list of wedding venue options. The venue was very important to us, as we realized that the place itself would set the mood for the event. Our goal was to throw a really great party where we would also get married… we wanted our guests to feel comfortable and socialize, and the focus to not only be on us all night. As soon as we saw Carondelet, we knew it was the place where we would say “I do.” We felt that it represented our style, was perfect for the vibe of the wedding we wanted, and was something a bit different than the norm. We worked with Hallie to insert little things to make the wedding more representative of us, which included old family photos around the venue, select music, and a fantastic food and beverage menu. We decided to have hors d’oeuvres all night, both standing and passed, in lieu of a sit down dinner for two reasons: one – we love trying and eating food, especially when it’s small plates or family style, and two – we thought it would go along well with our fun, mingling, cocktail, dance party wedding. We chose two fantastic vendors to prepare the food, Kelly from Paradise Pantry prepared a gorgeous cheese and charcuterie display, and Tender Greens made all of the delicious small plates and bites. Everything worked out perfectly! Being able to talk to everyone while nibbling was so much fun, and the food got rave reviews from us and our guests. One of my favorite aspects of our wedding was the ceremony. Rick requested that we write our own vows early on, which I was originally nervous about. However, when we met with our fabulous officiant, Reverend Barbara, about the ceremony, I relaxed a bit. We built a great rapport with Barbara, which showed during our ceremony. She conducted a beautiful, heartfelt and meaningful ceremony for us, that felt very personalized. Our wedding vows to each other, in Barbara’s words, “couldn’t have been written by anyone else”… they were beautiful, funny, and certainly unique. When Barbara asked us to turn and look out into our audience, into our family and friends’ eyes, to feel the love, we both got choked up. It was incredible to literally see the love and positivity around us, what an awesome moment! We had more amazing moments as the night went on, great music led to an incredible dance party, we enjoyed the tasty bundt cakes and mini desserts, then there was the cigar party on the patio, and then an impromptu after party with Lakers fans and strangers at the JW Marriott at LA Live. There were so many fantastic memories from our day! We were so fortunate to have incredible friends/photographers, Nate and Amanda Driver from Driver Photo, and videographer Cameron Hall, from Buffalo Rome Productions, with us to capture our day. Big thanks to them for being awesome people and artists! We have consistently heard two amazing compliments from many of guests… that the wedding was “very us”, and that it was the best wedding they had ever been to. Talk about music to our ears! All in all, the day was perfect thanks to all of our fantastic vendors and guests. Rick and I couldn’t be happier, and are still talking about our wedding day as it was the best day of our lives. Love this wedding! Her dress is so gorgeous. This is just all kinds of gorgeous – I love the classic styling paired with such vibrant coral accents! And those lanterns in the courtyard are amazing! 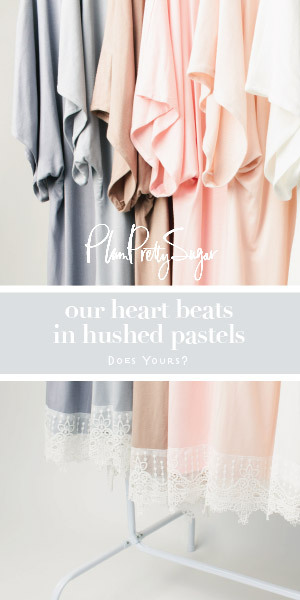 Such a sweet and romantic color palette! That shade of pink is amazing!!!!!! That wedding dress is just amazing! What an elegant wedding! Love the white colour scheme with the pops of coral.